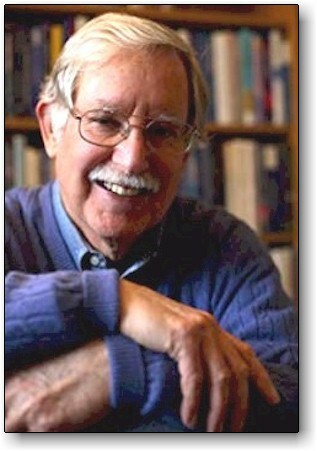 Dr. Kenneth Ring (born in 1935) is Professor Emeritus of psychology at the University of Connecticut and is a highly regarded researcher in the field of near-death studies. Ken is the co-founder and past president of the International Association for Near-Death Studies (IANDS) and is the founding editor of the Journal of Near-Death Studies. In 1977, Dr. Ring, as a young professor of psychology, read Raymond Moody's book, Life After Life, and was inspired by it. However, he felt that a more scientifically structured study would strengthen Moody's findings. So he sought out 102 near-death survivors for his research. Ken's ground-breaking book, Life At Death: A Scientific Investigation of the Near-Death Experience, was published by William Morrow and Company in 1980. In 1984, the company published Ken's second book, Heading Toward Omega: In Search of the Meaning of the Near-Death Experience. Both books deal with near-death experiences and how they change people's lives. His research also involves the ground-breaking work of investigating near-death experiences among blind persons. His findings are detailed in his book Mindsight: Near-Death and Out-of-Body Experiences in the Blind (1999) which has become a classic in the annals of near-death research much like his previous books, The Omega Project: Near-Death Experiences, UFO Encounters, and Mind at Large (1992), and his most well-known and celebrated NDE book, Lessons from the Light: What We Can Learn from the NDE (2000). Ken has researched NDEs that involve the experiencer witnessing events while out of their body which is later proven to have taken place. Ken has also researched NDEs that affirms reincarnation which have been published in scholarly journals. Ken has also examined NDEs among those who attempted suicide. During his extensive research, Ken was also able to examine NDEs where the future was foretold. Ken's latest book, Waiting to Die: A Near-Death Researcher's (Mostly Humorous) Reflections on His Own Endgame (2019), is composed of fifteen sparkling and delightfully witty essays which answers his personal thoughts on, "What is it like waiting to die?" Ken is also the co-author of Methods of Madness: The Mental Hospital as a Last Resort (1969). He is also is a co-author of Letters from Palestine: Palestinians Speak Out about Their Lives, Their Country, and the Power of Nonviolence (2011). In November 2008, Dr. Ring visited Israel as part of a peace delegation and subsequently protested the Israeli air strikes on the Gaza Strip as completely disproportionate. 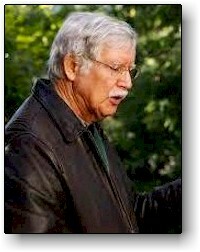 The following information is Ken Ring's research conclusions from his ground-breaking Connecticut study. (1) Those cases who came closest to death, or were clinically dead, just as Moody's cases reported, told of being outside of their bodies, of moving through a void or dark tunnel toward a luminous light, of meeting with departed relatives and friends, of having a feeling of great comfort and bliss and of being surrounded by compassionate love, a feeling so beautiful they longed to remain, and when they returned to the "earthly" realm, they were affected by this feeling the rest of their lives. (2) No one type of person was especially likely to have this experience. It cut across race, gender, age, education, marital status, and social class. (3) Religious orientation was not a factor affecting either the likelihood or the depth of the NDE. An atheist was as likely to have one as was a devoutly religious person. (4) Regardless of their prior attitudes - whether skeptical or deeply religious - and regardless of the many variations in religious beliefs and degrees of skepticism from tolerant disbelief to outspoken atheism - most of these people were convinced that they had been in the presence of some supreme and loving power and had a glimpse of a life yet to come. (5) Drugs, anesthesia and medication did not seem to be a factor in inducing these impressions and exquisite feelings of an NDE. Indeed, drugs and anesthesia seemed to be more likely to cause a person to forget memories of an NDE. (6) He definitely concluded that NDEs are not hallucinations because hallucinations are rambling, unconnected, often unintelligible and vary widely, whereas NDEs tend to have similar elements of a clear, connected pattern. (7) Based on the information of those who had reported such incidents, the moment of death was often one of unparalleled beauty, peace and comfort - a feeling of total love and total acceptance. This was possible even for those involved in horrible accidents in which they suffered very serious injuries. Dr. Ring found there was a tremendous comfort potential in this information for people who were facing death. (8) After going through an NDE, people reported a loss of fear of death as well as a greater appreciation of life. They also reported stronger feelings of self-acceptance and a greater concern and sense of caring for other people. They had less interest in material things for their own sake. Many tended to become more spiritual - though not necessarily more involved in organized religion. (9) Almost all subjects who experienced an NDE found their lives transformed and a change in their attitudes and values, and in their inclination to love and to help others. Dr. Ring was convinced that these were absolutely authentic experiences and noted that since returning, many of them had occasion to think about what might have been.' And their subsequent lives were powerful testimony to our common ability to live more deeply, more appreciatively, more lovingly, and more spiritually.